Picture discs, gatefold sleeves, imports, coloured vinyl, white labels, shaped picture discs, limited editions, 12” singles, double singles, special editions, lyric sheets / sleeves, demos and the classic Flexi Disc are all rich in The Alarm’s history as various media was used to promote singles and albums, with the collector buying the same song a few times over. Now we live in the digital age and the days when the artwork was just as important as the music contained within the sleeve are on the decline, gone are the days of searching the classified in Record Collector or rocking up at your local independent record dealer to see what he’s managed to find for you. However, all is not lost when it comes to Mike Peters, who manages to raid the music vaults and put his full artistic freedom to good use as new versions, a full catalogue of re-mastered albums and hidden gems make there way to us to replace the various media releases. For sure we are buying the same title but with sometimes subtle other times more distinctive differences. Hidden amongst the releases are some great versions that at the time were maybe too raw or arrived too late to appear on a studio album, there are those that have just evolved over time or just sound better at the demo or pre-production stage. How many times have we played Sixty Eight Guns, right back to the days when you could hear Gaz Top singing it to himself as he came into camera shot on a Saturday morning TV programme? Today there are many releases of Sixty Eight Guns to be found such as The Collection, recorded by Mike for an EMI compilation or the fantastic alternative verse on Mike Peters Live From A Broadcast, these two alongside the original album version probably cover the “way it should have sounded, the way it has and the way it did” Of the Declaration era there are a few other classics pre and post the original release. First up Pavilion Steps, released as a B-side and then overhauled with a new rich sound on the Second Generation album. The Deceiver, a great 45 release for the song itself and the media and in later years the release of the demo on the Eponymous album re-ignites its charm by bursting straight into the song and with the original lyrics. 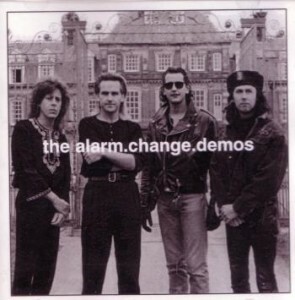 Lastly, and by no means least is the live album Hammersmith Palais 1984, which encapsulates the sound of The Alarm, two songs stand out and probably will forever. 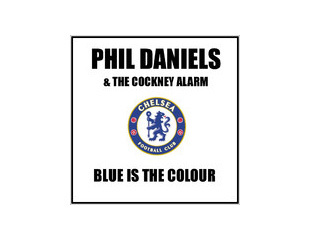 Recorded with a slight echo / delay it provides depth to the vocals and enhances the acoustic sound that bring alive The Chant, played with a pace in keeping with the style of The Alarm, unlike the studio cut, and to finish off is the fine Unsafe Building, a true collectors piece. 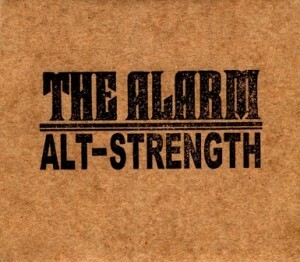 Alt-Strength contains a recording from a warm up session, part of which appeared on The Absolute Flexi that was a give away with the Absolute Tour programme, try playing that in your 80’s vertical record player! Strength was a key moment for The Alarm and provided some brilliant tracks; Dawn Chorus appears on the re-mastered Electric Folklore live album, a great example of the solid vocals and distinctive Dave Sharp guitar sound that made the live shows something to remember. While a recording from Chicago ’87 of Strength found on Rare Tracks B-Sides & Demos opens with a growing suspense, roars from the expectant crowd, a swipe of the strings and into the deafening opening keyboards and cry of “Give me love…” before storming through the much loved classic. The Eye of The Hurricane gives us some additions beyond the excellent album. Rose Beyond The Wall, released as a B-side on Rain In The Summertime, has been recorded a few times, a smooth slick production on Second Generation Volume 1, on Alt-Strength, and a rough and meaningful (thanks to a cold) live version on Out Come The Flags And Banners Again. Rose Beyond The Wall was backed up with another B-side offering on the same single called Time To Believe, which is one of those gems that eventually found its rightful place on the re-mastered Eye Of The Hurricane album. The re-mastered Eye of The Hurricane has an opening 20-second sequence titled Electric, which perfectly sets up Newtown Jericho adding to the character this song has. There are also 12” versions of Rain In The Summertime and Rescue Me, complete with signature guitar solo. An extended Rescue Me makes the superb transfer from vinyl to live performance and can be heard on Electric Folklore and the Rock Radio promo Curtain Call. Thanks to a recording of rehearsals and demos for the Change album there are a number of different versions and the odd hidden gem available from this era. The original release of Change holds the brilliant Scarlet, a great track standing the test of time in a class of it’s own, the Change Electric Demos album shows how the track was shortened and strengthened for inclusion on the final studio release. Others did not get on the final album such as the track Know Me Like I Know You, although parts of this evolved into The Rock, there are two versions on Change Acoustic Demos and both deserve a listen. Found on the re-mastered version of Change are a couple of B-sides, Corridors of Power and Breaking Point, both pre-production versions appear on Change Demos and have a wonderful rawness that captures the songs as they are developing, you can sense the feeling in the song that sometimes gets suppressed in the final studio cut. The Wind Blows Away My Words makes an early appearance on Change Acoustic Demos before being included on the Raw album, the earlier track is strong and you can hear why this was not left behind. The re-mastered version of Raw has some slightly extended tracks, Rockin’ In The Free world is always worth a listen and to wrap up the first decade Moments In Time sums up nicely. Unbreak the promise, the 2011 single to support The Sound and The Fury, is an old song, in fact one of the first Alarm songs penned. The Sound and The Fury is a selection of songs re-recorded in 2011 with a few subtle differences, highlights include fading the end of the intro to Shelter, a full bodied powerful Howling Wind and Strength to Strength (earlier released on Change Acoustic Demos) which finally gets its outright place on an official Alarm album. There is a favourite or two for everyone amongst the additional recordings released over the years, just something that sets the track aside. I have selected a few of my favourites, which come out when taking a wander down memory lane while playing The Alarm’s first decade, it is great to hear these additions to the originals. Are they better than the original releases? Of course not, well maybe, but who can say except for you! The songs obviously have something otherwise we would not have bought the original releases to support The Alarm back then and to this day! To end with have a listen to Hallowed Ground from the re-mastered Electric Folklore album and long may the hallowed music vaults contain the ones put to one side for revisiting or release when the time is right.